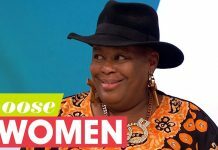 Former Gogglebox star Sandra Martin has revealed that she's back on benefits after quitting the show and 'blowing her money'. 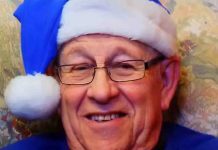 Channel 4 have confirmed that Gogglebox’s Christmas special will still go ahead following Leon Bernicoff’s death. Channel 4's Gogglebox star Leon Bernicoff has sadly passed away aged 83. Gogglebox stars ‘banned from attending showbiz parties because of Scarlett Moffatt’! Gogglebox stars have been given new rules from Channel 4 producers after Scarlett Moffatt has turned famous. Gogglebox family apologise following police investigation over ‘ISIS’ picture! 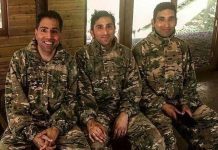 The Siddiqui family from Channel 4's Gogglebox have apologised following posting a picture with 'ISIS' caption. Gogglebox producers worried cast could destroy the show being ‘fame hungry’! Gogglebox producers are worried that the show could flop as the cast may become 'fame hungry'. 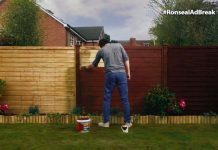 Ronseal make Gogglebox viewers watch paint dry for THREE minutes! Gogglebox’s Scarlett Moffatt opens up on her ‘addictive’ cosmetic procedures! Gogglebox's Scarlett Moffatt has opened up on her 'addictive' cosmetic procedures.